I'm changing the piston rings on my visa engine as well as trying to eliminate the usual oil leaks around the cilinders. Could any expert give me some advice? I wouldn't call myself an expert, but first off, what are you hoping to gain from doing the ring change? So, are the pistons and bores ok? It's not me who's doing the job. It´s a friend who is kind of 2cv mechanics expert. He showed me the parts and said everything looked OK (until now ) but the piston rings showed some signs of wear, which I/he guess(es) is normal after 160.000 kms... aggravated by the fact that the engine has been running on LPG for maybe 100.000 kms. I would not have thought LPG would affect the rings, more likely the valves. Anyway this is the 2nd engine (the 1st one was a 602) I've been using running on LPG, and I'm not so sure that gas is a bad option. 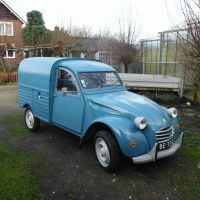 My aim was to use an electric kit for the 2cv (like they do in Paris) but I couldn't find it yet. An electric 2CV sounds cool. I was running my Bedouin on LPG for a while. It wasn't set up correctly, and I eventually had running problems with the engine. Back on petrol now, but I hope to go back to LPG but with an injection system soon. Regarding piston rings, I guess you can change them and try it. How are the cylinder bores? (Visa engines had a Nikasil coating). I think this is what you need. But I assume it costs more than you want to spend on that .